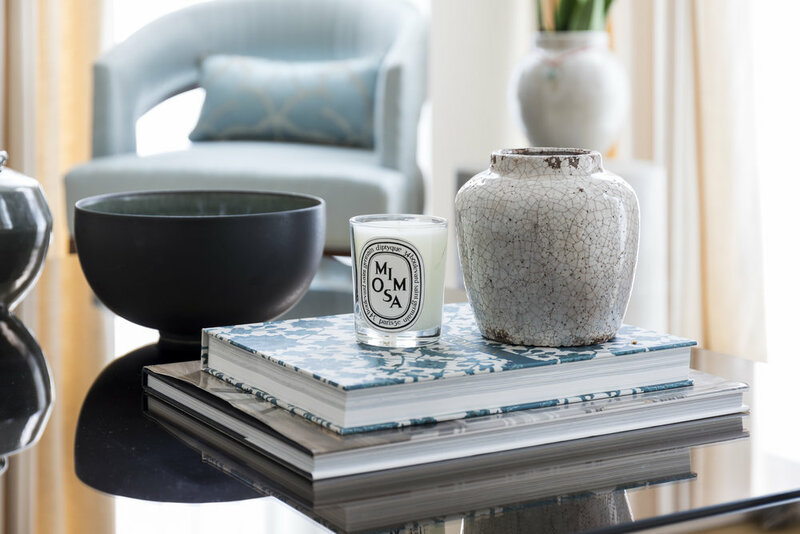 A newly developed apartment was transformed from a bland and uninspiring space into an unashamedly feminine and elegant space with playful joie de vivre! 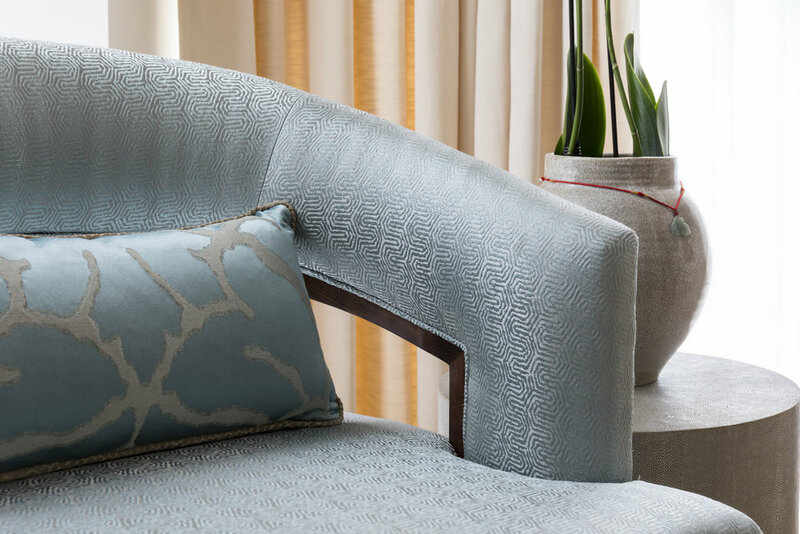 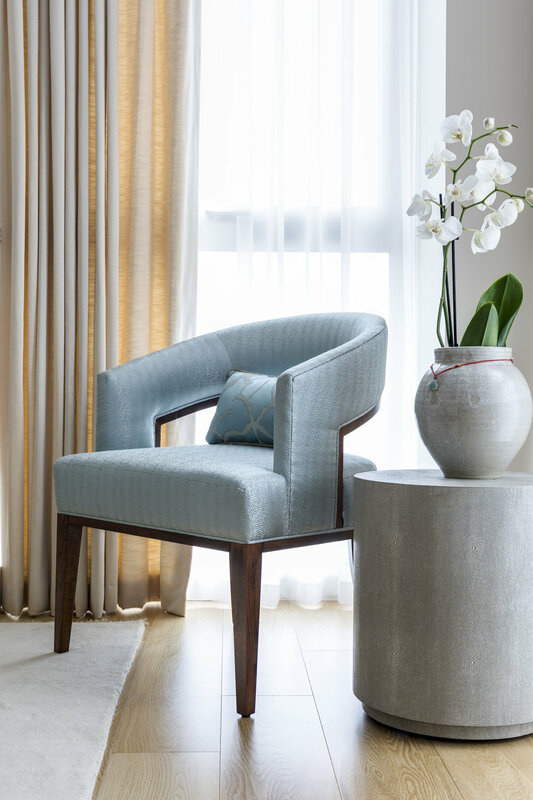 Bespoke furniture and luxurious materials like shagreen and silk were married with Ottoman textiles and Asian art. 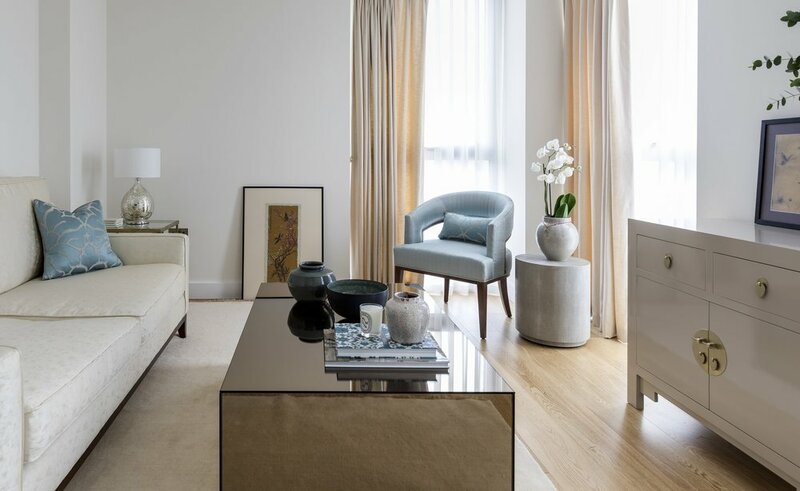 A beautiful collection of celadon toned glazed ceramics inspired the colour scheme in the open plan living room.